One of the nicer Zimmer, Jerusalem Bed and Breakfast for vacation in Israel, is Ilana's bed and breakfast (self catering) accommodation. Our holiday rental apartments is located in the idyllic village of Bet Zayit, adjacent to Jerusalem, 30 minutes drive from the Holy City. 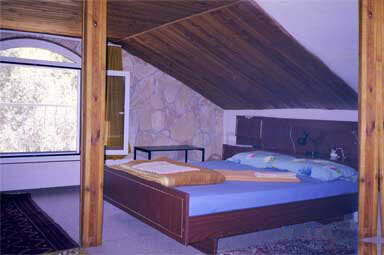 Ilana Shoket's Bed and Breakfast lodging has two apartments, both can accommodate up to eight guests. Parking under roof in the garden. A public phone booth is available near the supermarket 5 minutes walk. 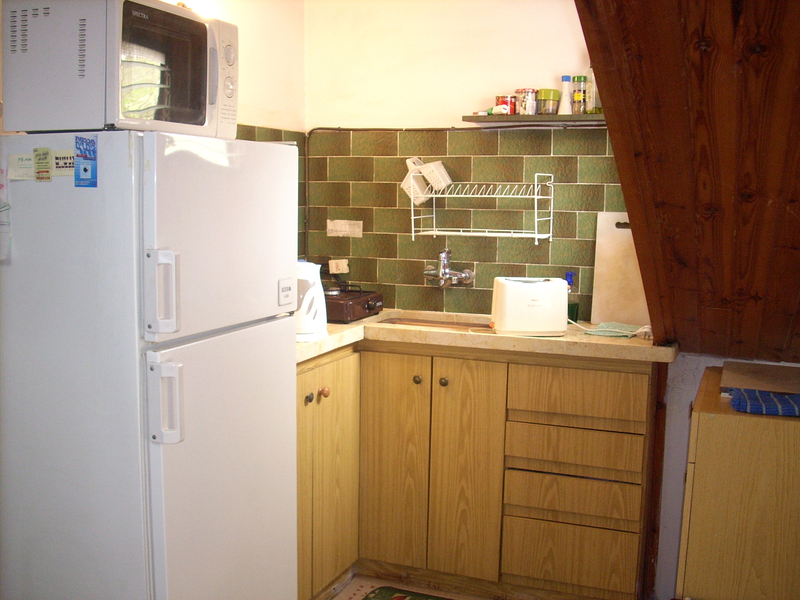 One bedroom and a kitchenette equipped with a refrigerator, electric kettle, gas range, toaster, microwave, T.V. cables. A/C and Hot Spot for wireless Internet. It can accommodate 2 adults and a child. There is a private bathroom (doush+w.c). External window overlooks the garden. The apartment is fully airconditioned. The apartment is attached to our house, but has a separate entrance to preserve its privacy. The suite on the second floor has two bedrooms (possible to add another extra bedroom), a living room a balcony which overlooks the garden to relax and dine, two bathrooms+W.C, kitchenette equipped with a refrigerator, electric kettle, gas range, toaster oven and microwave. T.V. cables and Hot Spot for wireless Internet. It can accommodate up to 4-6 adults. Couples are welcome as well. The apartment is fully airconditioned. It has 17 stairs from it's private external entrance of the garden side.